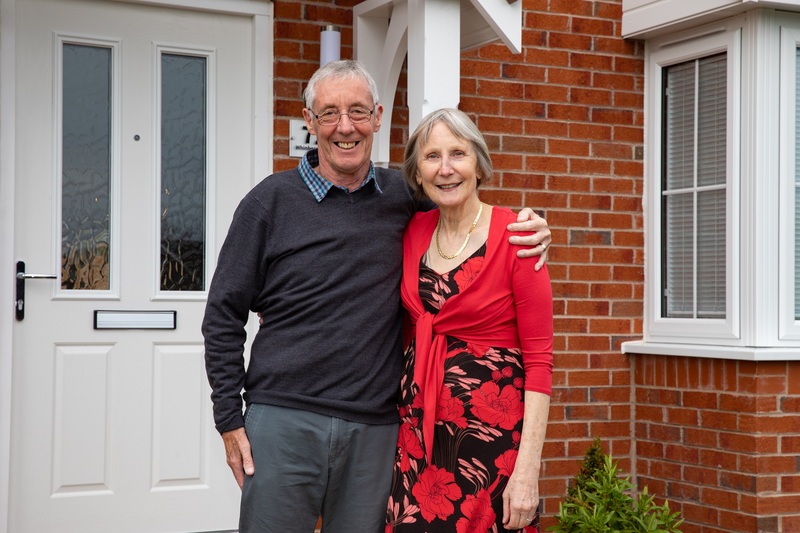 Music lovers Geoff and Vicky Kirkland found that a new-build home in Shrewsbury hit all the right notes when it came to downsizing in their retirement. 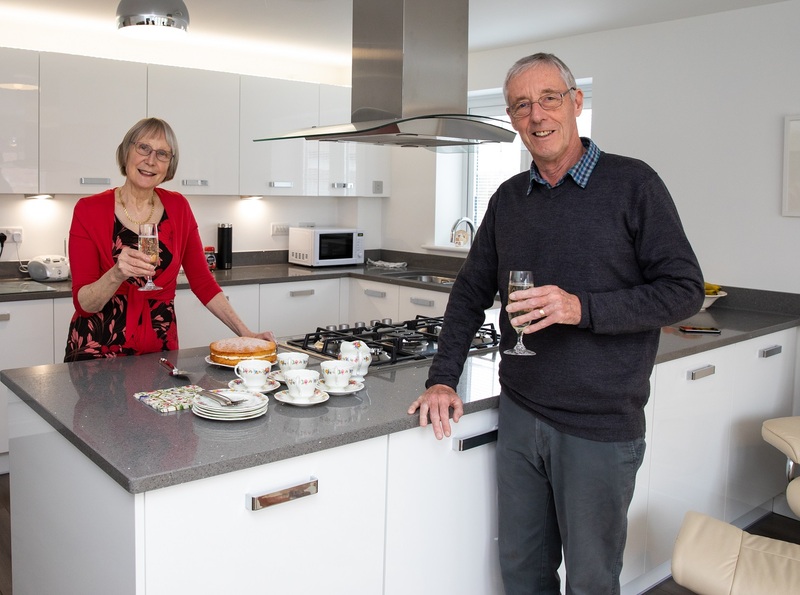 Geoff, 75, and Vicky, 70, who will be celebrating their golden wedding anniversary next June, were in perfect harmony when it came to their decision to move to Bovis Homes’ popular Bowbrook Meadows location. Guitar-playing Geoff, who worked as a navigator in the RAF for 16 years and for 21 years in the process control engineering industry, says that they have found all they could have wished for and more in their new home – even down to the assistance received when purchasing the property. “We downsized from a 1930s house which, together with the garden, had become too much for us to manage,” says Geoff. “We loved the look and contemporary layout of the new house, the stunning kitchen family room, the en-suite bedrooms, and the double garage. The downstairs study was also appreciated as in our previous house it had been upstairs. Vicky, a talented piano player who worked as a dental nurse and classroom assistant for 10 years, added that the couple were delighted to find such a property on their own doorstep – and that the move was made easy thanks to a special Bovis Homes package. “We have lived in Shrewsbury for the last 25 years and have thoroughly enjoyed living here,” said Vicky, who first met Geoff on Valentine’s Day 1967. “It is a beautiful part of the country and having moved many times in the past we have become settled in Shropshire. With Smooth Move, Bovis Homes deal with the estate agents on their customers’ behalf, and even pay the agency fees. Six months after moving in, the couple remain delighted with their switch to a new-build home – something they are familiar with from previous moves. “We have bought two new-builds previously,” said Geoff. “The main benefits are that everything is new and up to the latest standards. After renovating two previous houses, at our age we did not want any more building projects! Now happily settled into their Bowbrook Meadows home, Geoff and Vicky will be combining their musical pursuits with a love of the great outdoors, and making the most of their wonderful location. “We like visiting National Trust properties and interesting towns,” said Vicky. “We both love the local Theatre Severn and meeting up with family and friends – old and new! For more information about the house types and purchasing options available at Bowbrooks Meadows, visit www.bovishomes.co.uk.